Bonnie Beecher is a lighting designer from Toronto, Canada, who has designed for over 350 theatre, opera, and dance productions. She has worked with various companies in Canada, including The Shaw Festival, The Stratford Festival, The Canadian Opera, Opera Atelier, Soulpepper theatre, The National Arts centre, The National Ballet of Canada, Tarragon theatre, The Segal, The Citadel, and Ballet British Columbia. She has also worked with The Dutch National Ballet, American Ballet Theatre, The Glimmerglass Opera, The Versailles Royal Opera, Pacific Northwest Ballet, The Royal Shakespeare Company, The New Zealand Opera, The Dortmund Ballet, The Royal Flanders Ballet, Ballet du Rhin in Mulhouse, The State ballet of Georgia, and Ballet Im Reveir in Germany. She also designed the lights for 7 world premieres for The Stuttgart Ballet, and collaborated with the Kevin O'Day Ballet in Mannheim, Germany for 14 seasons (2002-2016) where she designed the lighting for more than 25 world premieres for the company. File contains set designs for Neptune Theatre's production of "Dancing at Loughnasa," directed by Linda Moore and designed by Brian Perchaluk. 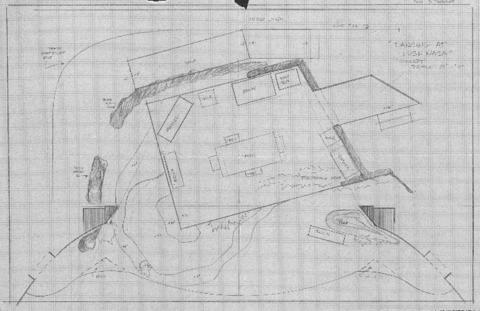 The file includes Perchaluk's original drawings and copies of the lighting plot by Bonnie Beecher. The file also contains an annotated copy of the first page of Perchaluk's set design. See the production records for this play in the Neptune Theatre fonds (MS-3-1) under the series "Production records," subseries "Dancing at Lughnasa."